(ONTARIO) – Doug Ford is today joining thousands of people on the front steps of Ontario’s legislature as Ontario’s first ever Government for the People is sworn-in. The Premier-Designate has met with The Honourable Elizabeth Dowdeswell, Lieutenant Governor of Ontario to present his recommendations for appointments to Ontario’s Executive Council. The new Government for the People will be sworn-in and affirmed in a public ceremony on the front steps of the Legislative Building at Queen’s Park. 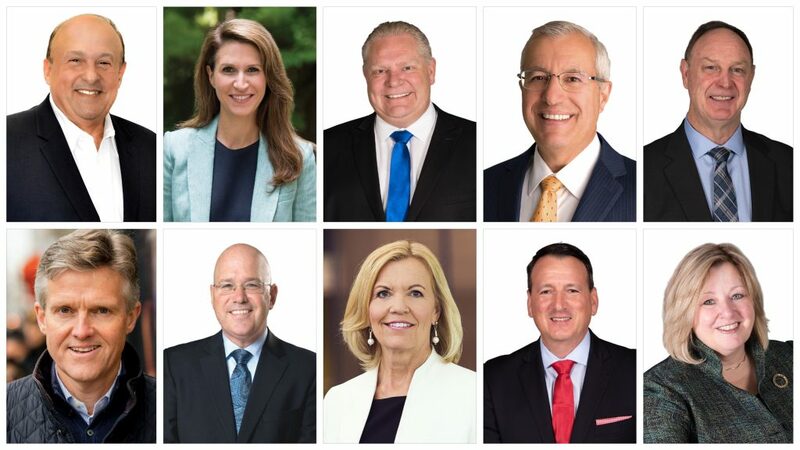 Ontario premier Doug Ford has unveiled his cabinet appointments at the PC premier's swearing-in ceremony at Queen's Park Friday morning.